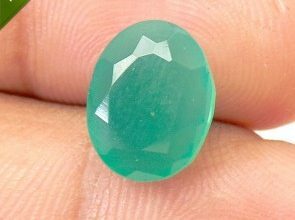 Gemstones have never failed to amaze us. 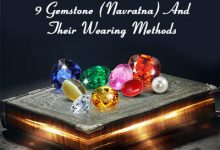 With their unmatched charm and the various astrological benefits that they offer, they could mesmerize anyone – no wonder why the popularity of gemstone jewelry never seems to fade! 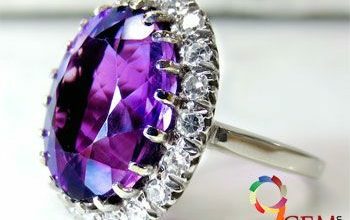 The wide variety of designs and styles of precious and semi-precious gemstones jewelry is a boon for any gemstone lover. 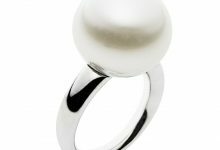 So, if you want to explore the different designs that the world of gemstone jewelry is offering at present, then keep reading. The stunningly beautiful “Navaratna” or nine gems when come together to form an exotic piece of jewelry, it is called Navaratna jewelry. 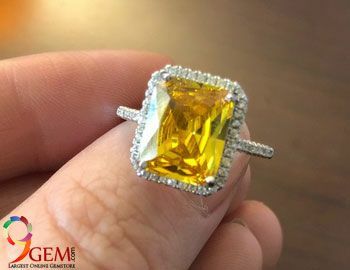 These gems include precious and semi-precious stones of ruby gemstone, diamond, emerald, blue sapphire, pearl, coral, topaz, hessonite, and cat’s eye, yellow sapphire. As each of these gemstones carries special energies and properties, wearing them together brings a whole host of benefits for the wearer. Not only does this form of jewelry protects the wearer from negative energies, but it also creates positivity all around and brings good luck. 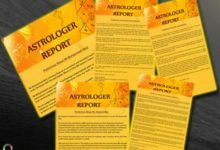 A combination of colorful gemstones, the Navratna jewelry is a perfect choice for those who want to balance the planetary positions in their birth horoscopes while looking fashionable at the same time. From rings and bracelets to earrings, bangles, and necklaces, Navaratna jewelry can be obtained in a variety of options these days. 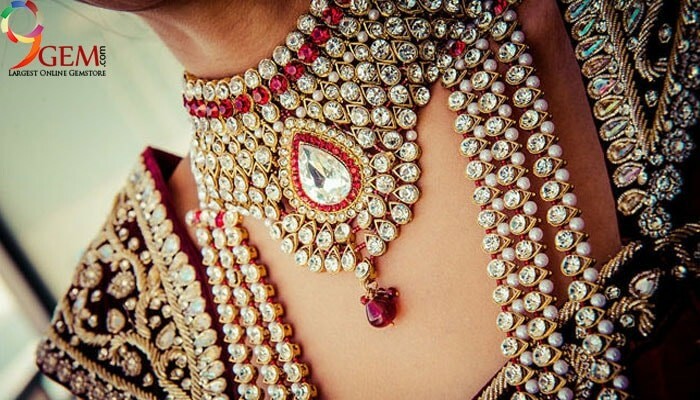 When it comes to the list of the most loved Indian jewelry, it is incomplete without the mention of Kundan jewelry. A design that has wooed many jewelry lovers and has been adorning brides for many centuries now, this jewelry has its origin in the royal Indian state of Rajasthan. Crafted with a lot of attention to detail and involving intricate work, this jewelry is set with precious and semi-precious stones like hessonite gemstone, emerald gemstone etc to create an extravagant look that is beyond ordinary. These gemstones are mounted using a pure gold foil. 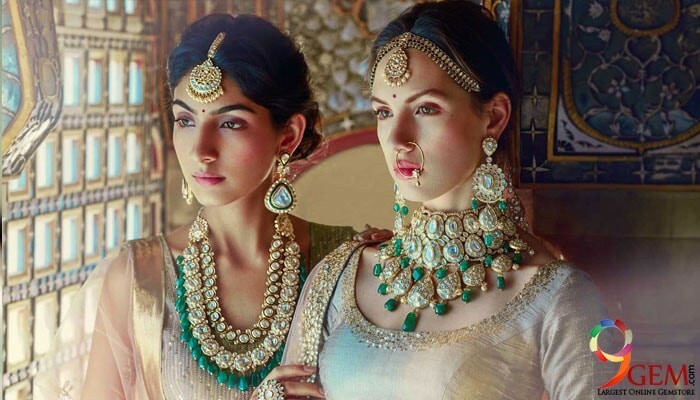 These days, an array of Kundan jewelry is available for the modern generation which wants all things to be pretty and colorful and doesn’t want the traditionally elegant Kundan jewelry to be an exception at all! Another amazing style of jewelry that originated in Rajasthan, the Lac or Lacquer jewelry is available in a wide range of designs at present. 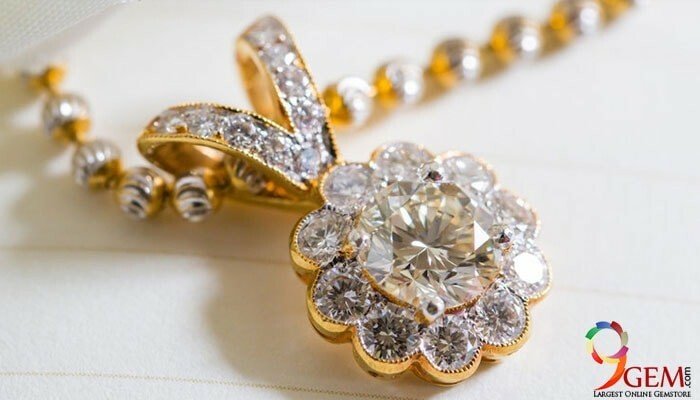 From bangles to bajuband, jod, gajra, timaniyan, gokhru, and even necklaces, there is a lot in the world of Lac jewelry that can satisfy the needs of fashion jewelry lovers. The transition of embedding mirrors and glass beads to semi-precious gemstones now hints at the evolution of this form of jewelry as well. 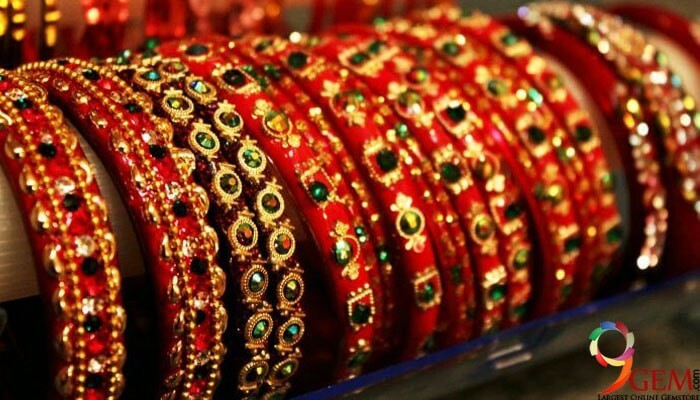 Often considered as an omen, lac bangles have been gaining rapid popularity all across the nation. But then again, crafting the perfect piece of lac jewelry requires great accuracy and fastidiousness. 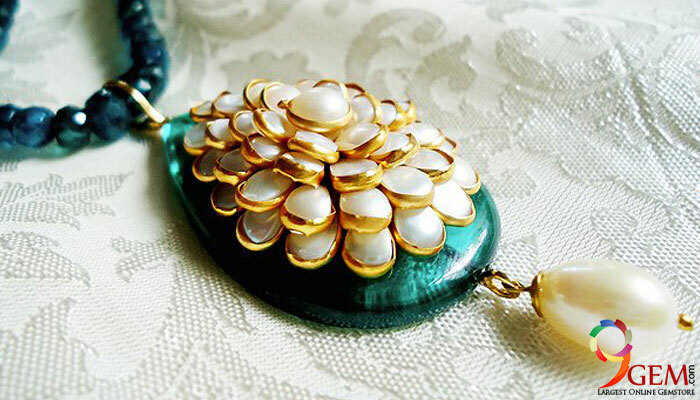 Another highly popular form of fashion jewelry, Beaded jewelry has undergone a renaissance in the modern world of fashion. 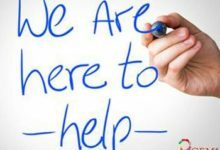 Which was earlier limited to states like Haryana, Punjab, and Rajasthan, has now slowly made its presence felt in different parts of the country as well as the world. From hand-carved wooden beads to tiny glass beads, different varieties of beads are used to create this funky form of jewelry. From fancy beads necklace to chains, bracelets, and earrings, the range is as exciting as the jewelry itself. Many college-going students prefer wearing beaded jewelry due to the comfort they provide and the prices that they command. 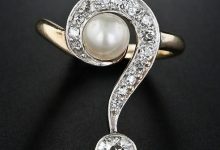 Maintaining a huge collection of this jewelry is no big deal in today’s fashion savvy world – making every girl’s dream to look her best come true. A preferred choice of Indian women, the Jadau jewelry is usually worn during auspicious occasions like marriages and festive celebrations. Some even call it ‘Enamelled’ jewelry, and like many other jewelry types, this has also been introduced in the country by the Mughals. Indian craftsmen then finetuned the jewelry, particularly the professional craftsmen of Bikaner. This is the reason why Jadau work of Bikaner is extremely popular amongst jewelers. The complicated Jadau work requires immense expertise to get the perfect piece of jewelry. 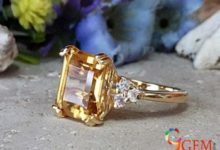 Precious gemstones and semi-precious gemstones like cat’s eye gemstone, hessonite, pearl gemstone, amethyst gemstone etc are embedded in a solid gold base along with crystals and beads to get a detailed work. However, it requires a lot of time to get the perfect end result. 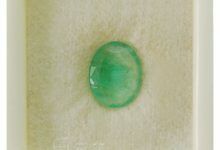 Sometimes, setting only four-five gemstones can take up an entire day’s time – which testifies the fact that perfection requires talent as well as patience. Adding zest to any outfit becomes easy with contemporary stone jewelry that is available in this day and age. Created using a combination of precious and semi-precious gemstones like the coral gemstone, this modern form of jewelry is a perfect choice for those who crave for a chic and fresh look. 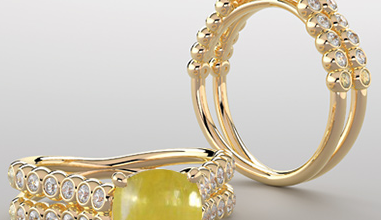 One can get large and bold stones jewelry to small and delicate jewelry, all that’s needed is the right find. 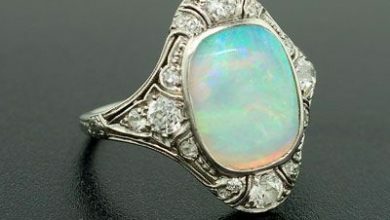 Today most of the stone jewelry is set in sterling silver, creating a truly spellbinding look. 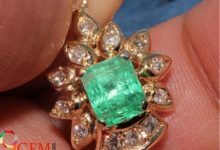 There are some jewelers who also sell stone jewelry embedded in copper and brass as a base so that the jewelry becomes affordable for those who want to look stylish without burning holes in their pockets. 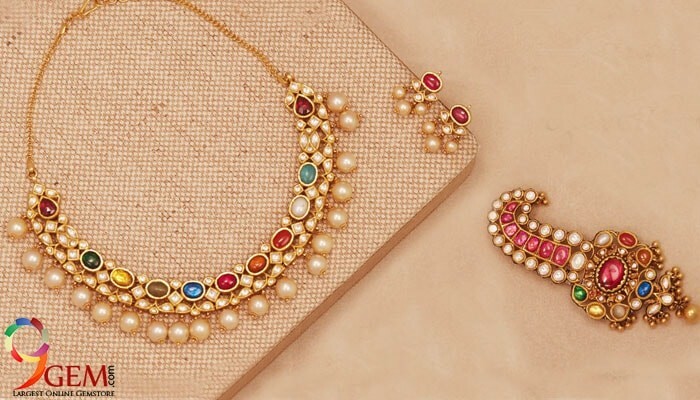 Bearing a striking resemblance to the incredible Kundan jewelry, the Pachchikam jewelry is also an intricate form of stonework that has been a fascinating addition to the world of jewelry. When single uncut diamonds called Polkis are used with semi-precious stones, the result is lovely Pachchikam jewelry. 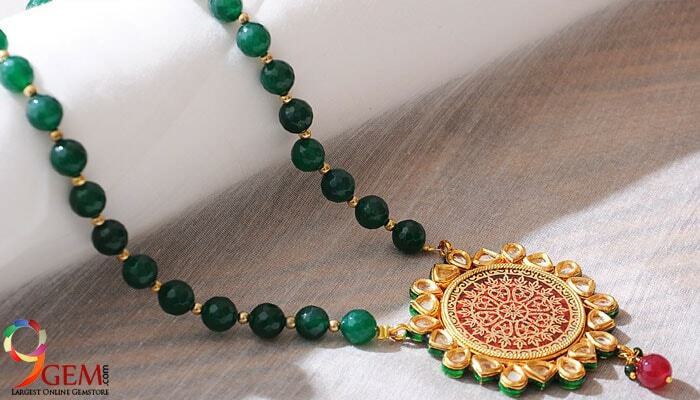 Today regarded as one of the best variants of fashion jewelry, the style basically originated in Gujarat. While initially gold and platinum were the preferred metals to be used as a base for the detailed Pachchikam work, these days silver is also increasingly being used to make the style affordable for jewelry lovers. One can have Pachchikam earrings, necklaces, bangles, armlets, as well as head gears to not only complete but also complement their gemstone jewelry collection.